Are you overwhelmed by the many different types and varieties of vinyl? Are you not sure which vinyl to use on a mug, on wood, on shirts, for glass etching, etc.? Then, this is the post for you! 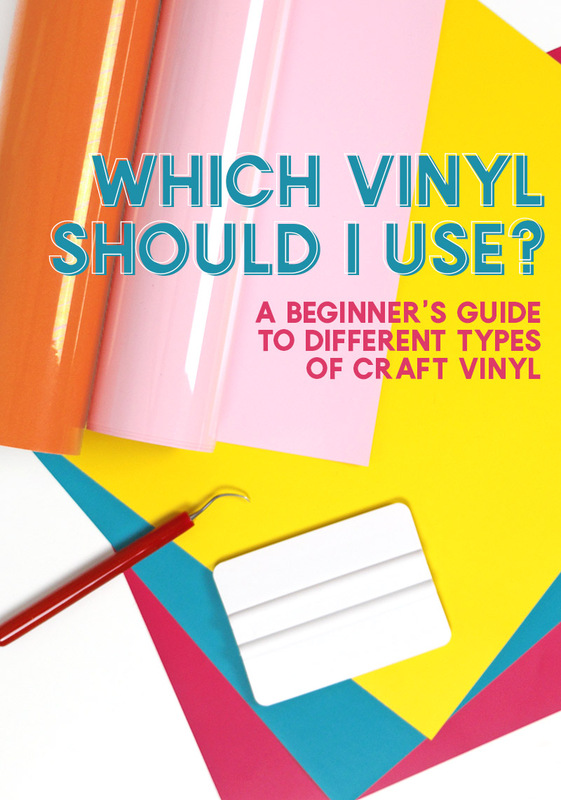 Learn all about the different types of vinyl, and find out what you need. This post contains affiliate links, which help to support this site at no extra cost to you. I absolutely love crafting with vinyl, but I completely understand that it can be really overwhelming when you just starting out in the wonderful world of vinyl crafts. Years ago, when I was just starting to figure this whole vinyl crafting thing out, I got a grab bag full of random vinyl pieces from Expressions Vinyl (one of my favorite online vinyl shops). 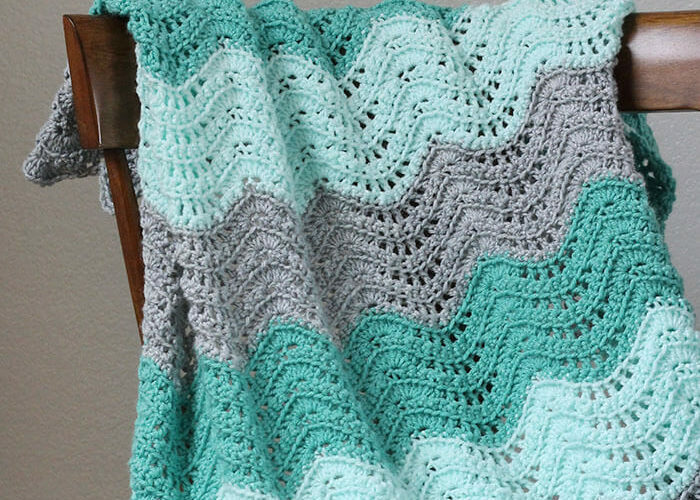 While it was a great way to try out lots of different types of vinyl on the cheap, because I was unfamiliar with vinyl, I had no idea which vinyls should be used for which projects or how to use any of it! What type of vinyl should I used for shirts? Which vinyl works on wood? What kind of vinyl is that? I had no idea. 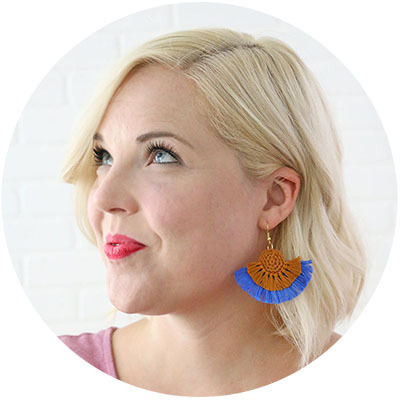 Now, after lots and lots of vinyl crafting, I feel like I have a pretty good handle on vinyl (I even made an entire online course all about crafting with vinyl and your Silhouette), and I want to share that with you all. Hopefully I can help you figure out which vinyl vinyl to use for whatever project you have in mind. Let’s start off by talking a bit about what the different types of vinyl are. There are two basic types of vinyl – Adhesive Vinyl and Heat Transfer Vinyl. Within each of those two larger categories, there are different types and styles, which I will talk more about in a bit. Adhesive vinyl (sticker vinyl) is a thin flexible material with a pressure-sensitive adhesive that can be cut in any design and applied to all kinds of smooth, hard surfaces. Heat Transfer Vinyl (iron on vinyl, t-shirt vinyl, or HTV) is a similar material with a heat-activated adhesive that is designed to work with fabric surfaces (or any surface that can stand the heat). Both types of vinyl are available in either rolls or sheets, usually 12″ wide. If you ever happen to be in the same position I was with my vinyl grab bag, holding a piece of vinyl not sure what kind of vinyl it is, then I hope this little explanation will help you figure it out! Adhesive Vinyl can come in all kinds of colors and finishes, but it will always have a paper backing and be sticky to the touch when that backing is peeled off. Heat Transfer Vinyl, on the other hand, does not have a paper backing. 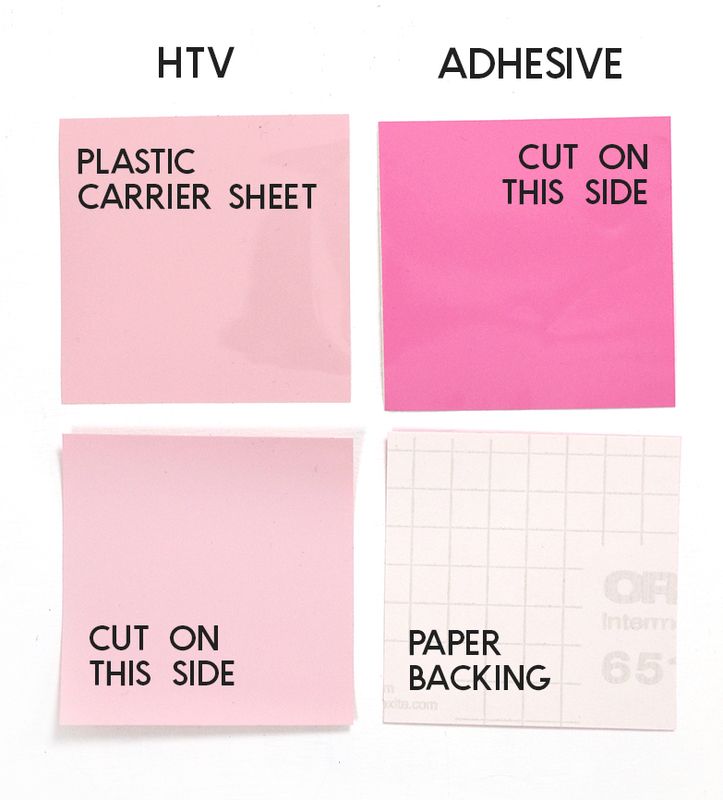 Instead, HTV, has a clear plastic carrier sheet that covers the top of the vinyl. The other side is where the adhesive is (it is not sticky or tacky to the touch), and this is the side of the vinyl that you will cut on. Now you know what the two basic categories of craft vinyl are, but there are lots of types within each category. Let’s talk a little more about types of adhesive vinyl, and then we will move on to heat transfer. 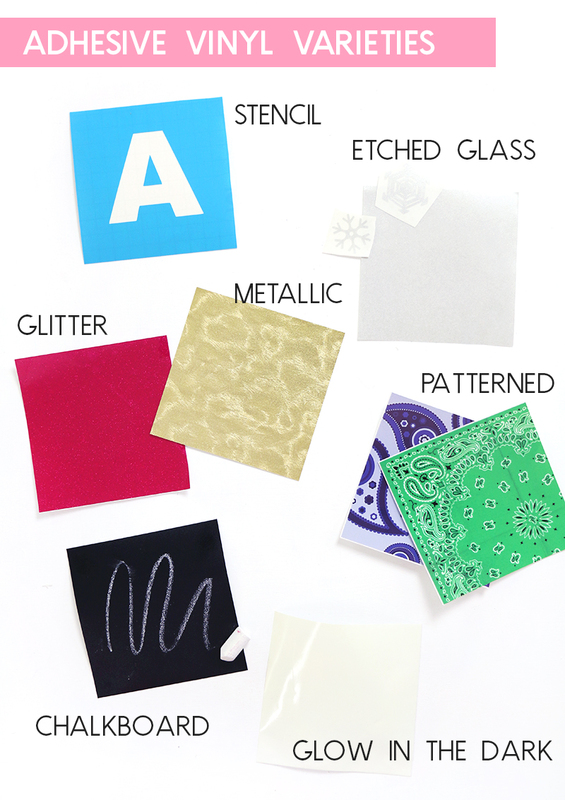 Which type of Adhesive Vinyl should I use? Some adhesive vinyl is meant for permanent, outdoor application and some is designed to be removable for indoor application. Usually (although not always), permanent outdoor vinyl has a glossy finish while removable indoor vinyl has a matte finish. Permanent outdoor vinyl is perfect for outdoor signs, car decals, mugs or other items that will go through the dishwasher. Most permanent vinyl has a glossy finish, but not all (Oracal 641 is a matte vinyl with a permanent adhesive). Permanent vinyl can be removed, but it may do damage to walls, paint, etc. One of the most common and popular brands of permanent outdoor vinyl is Oracal 651, which you can purchase from Amazon, Expressions Vinyl, Swing Design, Consumer Crafts, and I’ve even seen it in my local Michaels. Oracal 751 is an extra long lasting permanent adhesive vinyl. This may be your best bet for products that will be washed or that you want to really last a long time. Removable indoor vinyl is great for wall decals, indoor signs, stencils, and any time you want a temporary application. 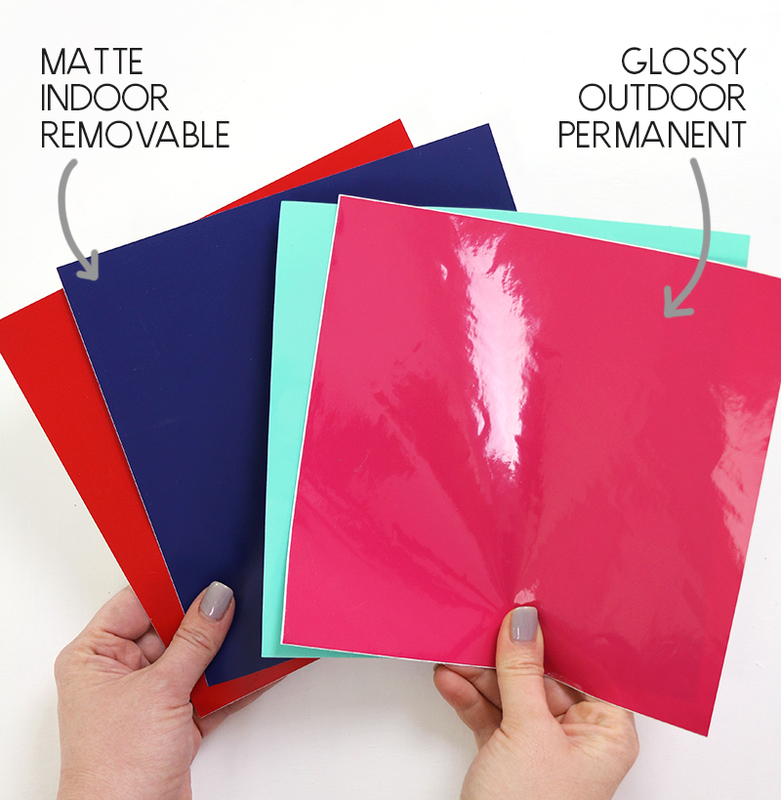 Removable vinyl often has a matte finish. Oracal 631 is a popular type of removable vinyl that you can find at Amazon, Expressions Vinyl, and Swing Design. Try using removable vinyl for your first project! It is easier to work with because the adhesive isn’t as strong as permanent vinyl. Glossy and matte are not the only kinds of adhesive vinyl! You can find fun, specialty vinyls in all kinds of colors, patterns, and styles! (Be sure to check the description of the product when you purchase to determine if it has a removable or permanent adhesive.) Here are just a few types you might want to try out. As you can see, there are so many options! The most important thing to consider when choosing an adhesive vinyl for your project is the type of adhesive – do you need a removable adhesive or do you need something that will stand up to sun, water, and lots of handling? Once you have determined if you need a permanent or removable adhesive, choose whatever color or style you like that has that type of adhesive. Next up, let’s talk heat transfer vinyl! Which type of Heat Transfer Vinyl Should I use? Just like adhesive vinyl, heat transfer or iron on vinyl comes in lots of different colors and styles. For basic smooth HTV, I recommend Siser Easyweed because it is easy to work with, comes in tons of colors, and washes and wears well. You can find Siser Easyweed at Amazon, Expressions Vinyl, and Swing Design. Silhouette and Cricut both have smooth Iron-On material that works well too. 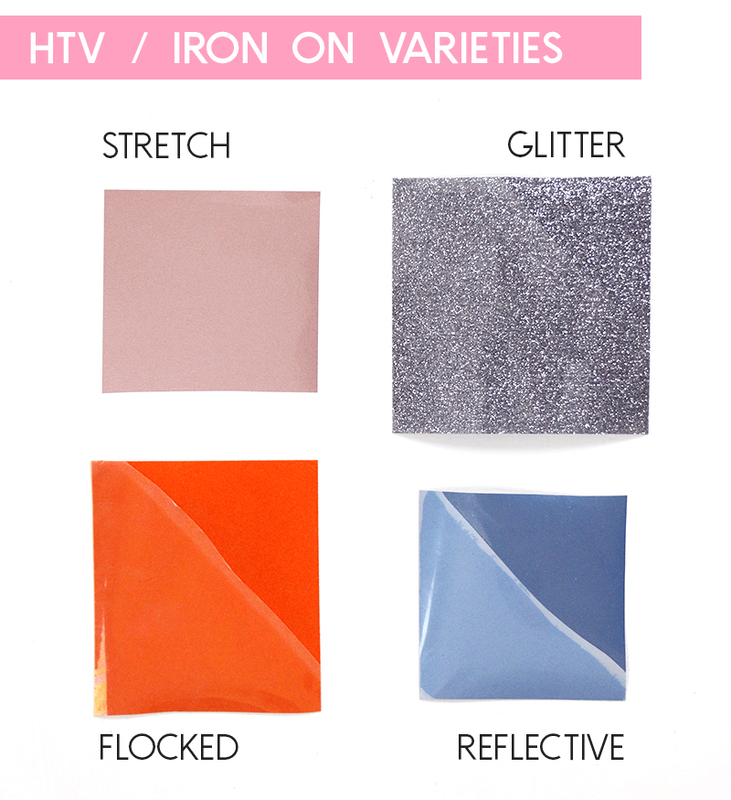 Let’s check out a few different types of HTV. In general, all iron on vinyls should work on all fabrics and materials that can stand up to the heat of your iron or heat press, so when choosing an HTV you want to mainly consider the look you want. However, certain types of vinyl will work better for different types of fabrics or designs. For example, holographic and metallic vinyl is often stiffer and because of that it works best with designs made up of smaller pieces rather than large stretches of vinyl. Similarly, stretch vinyl works better with stretchy knit, ribbed, or athletic fabrics. All HTV is washable, but following some simple guidelines will help your finished piece to stay looking good for longer. So, Which Vinyl Should I Use? Phew – that was a lot, right? Hopefully after reading about the different types of vinyl you have a good idea of what kind of vinyl you need for whatever project you are dreaming up. Here is the basic rule: In general, if your surface is hard and smooth (things like walls, mugs, bottles, picture frames, mirrors, boxes, etc. ), then go with adhesive vinyl. If your surface is soft and can withstand heat (clothing, shoes, books, tote bags, etc. ), then heat transfer vinyl will work best. Now that you know which vinyl to use for your project, check out my post on the best places to find cheap vinyl to make sure you are getting it at a good price! If you have any questions, leave them in the comments below. Do you have a booklet or catalog that I could print on this info? 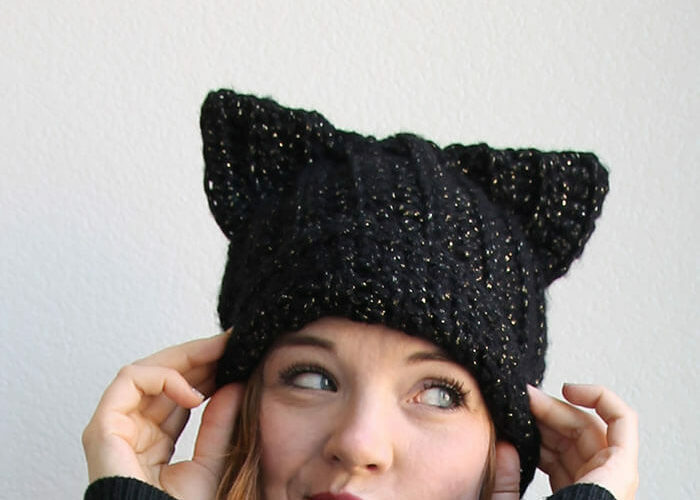 I am new and trying to figure things out and love this post! I am a true beginner. What does “easier to weed” mean?? Thanks for the explanations that are simple enough for a novice like me! ? Weeding is the word for removing the excess vinyl from around your design. I find flocked vinyl to be easier to weed because it’s a bit thicker and the cut lines are usually pretty easy to see. Glitter vinyl heat transfer vinyl, on the other hand, tends to be more difficult to weed as the cut lines are harder to see and I also find it tears a bit more easily. I hope that helps! Hi! I am trying to put a logo on a squeezable water bottle but no matter what kind I use it cracks. Is there something that has some give to it but can be applied to a rubbery/plastic surface? I can send pictures if that will help. Great post! Can you use premium permanent vinyl on T-shirt’s? I got wayy too much oracal 631 with a bundle I bought on black friday. Is there anything i can use to seal it or adhere it with like maybe spray adhesive to make it more permanent. Everything I read says it comes off easily. I want to use it for ornaments and glasses. Any advice is appreciated! I have never tried using any kind of spray adhesive or sealant with Oracal 631, so I can’t say for sure. I think that it might work okay with ornaments, but I don’t think you will have a lot of luck with glasses or anything that needs to be washed. It should work great for most decor projects though! Good luck! Looking to add a design to fabric which will not withstand the heat for HTV. The fabric is a polyerster and spandex blend. Is there an adhesive Vinyl you recommend? I am a newbie trying to learn the language of cutting – I so appreciate this post. Thank you! Thank you for such a comprehensive guide to vinyl. It makes the terror of opening my Cricut’s box just a bit less daunting. Do you have favorite sources for the various types of vinyl? I have lots of adhesive vinyl. Can I use it to iron designs on fabric? Do I have to use heat transfer vinyl? For fabric applications you need to use heat transfer. You could stick an adhesive vinyl decal onto fabric, but it will just be like a sticker. In order for the design to bind with the fabric and for it to be washable, you must use iron on or heat transfer vinyl. This was a very helpful article about how to use vinyl. I am brand new to Cricut and need all the help and information I can get. Your article was clear and easy to understand. Thanks a bunch! I am looking forward to getting your newsletters! Can you use heat transfer vinyl on mugs and then heat press them with the cup attachment on my heat press? Also I mistakenly bought the new cricut premium vinyl thinking it was permanent as I wanted to add it to a cereal bowl but it turns out it is the removable Matte kind. Will that work or do I need to buy the permanent kind instead?? You can use heat transfer vinyl on ceramic! I have been meaning to get a post up all about that. I will try to get it done soon, but basically you can use HTV on any surface that can stand the heat. You can check out my post on using heat transfer vinyl on wood here: https://persialou.com/apply-heat-transfer-vinyl-wood-diy-wood-signs-video/ I would probably use a small craft iron for a mug or you can get mug adapters for heat presses although I have no experience with that personally. I think if you are going to be washing and handling something, I would definitely use permanent adhesive vinyl. This made perfect sense to me, newbie here. Thank you. Thank you for the tips! I’m a beginner and I’ve been trying to apply adhesive vinyl to clear mugs, but I’m not sure if it’s the vinyl or the transfer tape (or both together), but I’m having a problem getting it to, first of all, stick to the transfer tape and then sometimes the vinyl is having a hard time transferring from the transfer tape to the glass. I’m having to literally work at every single letter to get it to come off the transfer tape and stick down, sometimes causing a letter rip. Could it be the font as well? The bigger the font, the easier it seems to lift. I’m just not sure what I’m doing wrong. Is the type of vinyl and transfer tape I’m using together? It could be an issue with the transfer tape or the vinyl or the two working together. Which brands are you using? Are you using a vinyl with a permanent adhesive too? It should really grab onto the mug. You may also want to try cleaning the mug with some rubbing alcohol first to help you get a nice clean surface to start with. Another thing I have noticed as far as getting vinyl decals to come up off the paper backing is making sure you are getting a good “kiss cut.” You are making me realize I could probably add another section about this, so thank you! Basically, you want your cut to just go through the vinyl and not through the paper backing. If your cut is going a little deep and cutting into the paper backing as well then I think it makes it more difficult to get the decal off the backing and onto the transfer tape. Thanks for this post… Curious if you know the difference of the Oracal 813 (considered the stencil vinyl) or the Oracal 651 or 631. I have used the 651 and 631(matte) interchangabley for making vinyl stencil on wood and they work great. I just ran across the 813 and I see a lot of people use the Oracal 813 (which seems to be more expensive and I think it says less sticky). Am I missing something? What’s the draw to the 813?? Why should I pay more, does it work better and if so how? THanks! Ive started to make coasters. That means seeing vinyl pieces together. So far so good. When my sewing machine told me it needs a break I looked at the vinyl scraps and found they can make great ornaments. Keyrings or magnets. And many don’t need further cutting as they create wonderfully imagunative shapes by themselves. Problem. I need to be able to glue these pieces together. I’ve tried crafting glue. The glue doesn’t hold. Gorilla glue is better for strength but any residual glue beside or under the item turns white when I try to remove it. Some if the pieces I’ve has to toss were striking and I hated to lose them. I’ve been using several types of vinyl but it doesn’t seem that my vinyl is on the same page as yours. Can you help? Literally ANY advice you could give would be greatly appreciated!! Hi Alicia! Are you wanting to cut a design to apply to the tire cover or are you actually trying to print a design? If you are cutting a design and then applying it to the cover, and it is leather, then I would go with a Heat Transfer Vinyl, and if you are working with a Silhouette, you will have to cut the design in two pieces and then apply both to the cover. The techniques I used in this post should help with that: https://persialou.com/giant-otomi-wall-diy-with-vinyl/ I hope that helps! Good luck! OMG, you are a lifesaver. Your page is the first one I opened and bookmarked it before even reading past the opening paragraph. My bf and I are picking up our dye sub printer and vinyl cutter plotter tonight and you page answered questions I didn’t even know I had yet. Thank you for sharing what you have learned, allowing others like myself to the wonderful world of vinyl. Thanks for the sweet comment, Mandi! You are so welcome! Good luck with the new adventure!